Regalia (say "re-GAY-lia") is what an Indigenous dancer wears during traditional dances — like at a powwow. 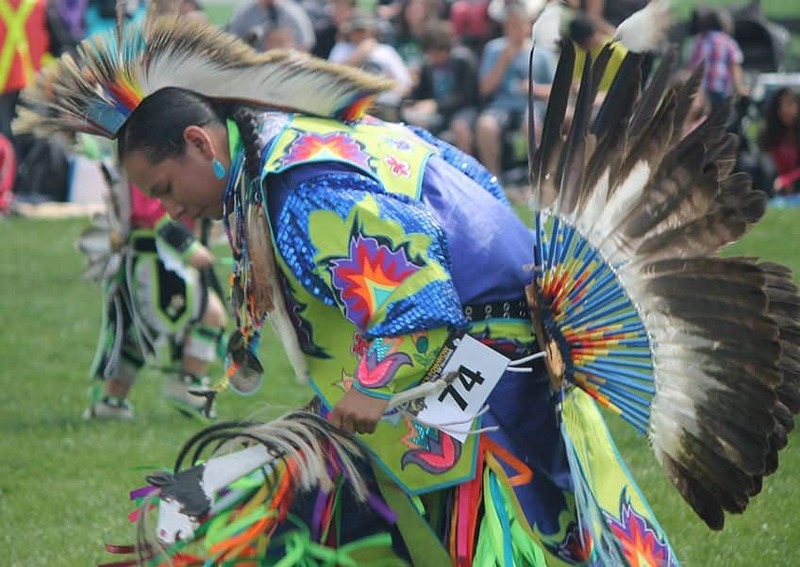 Regalia is colourful and is different depending on the type of dance. For example, a dancer who does jingle dance, wears regalia featuring many metal cones that knock together to make a beautiful sound while a grass dancer will wear leggings and headbands. Does the regalia have a special meaning? 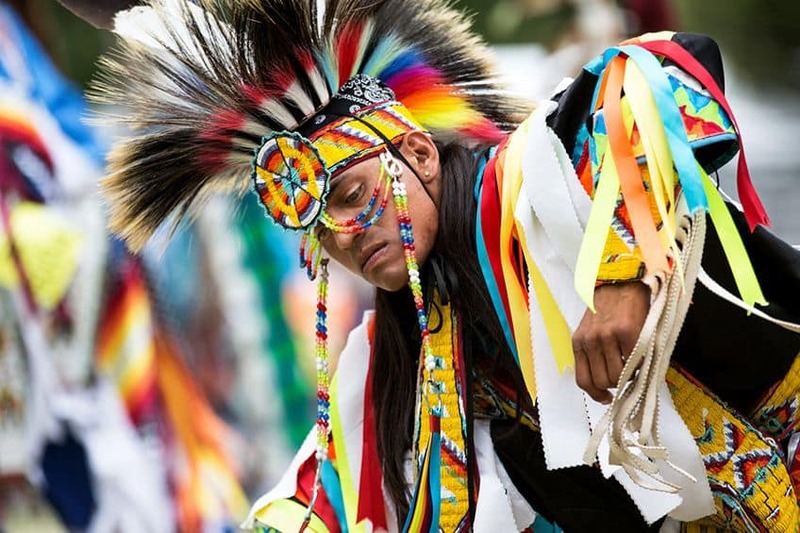 Regalia is unique to each dancer, their culture and even their family. There are different kinds of regalia and many parts to each outfit. Some dancers wear feathered or porcupine hair roaches (which are sometimes called headdresses) and breastplates made out of bone. Some carry shields and rattles. Some regalia has bells that make noise when they dance. It depends on the dance. A dress with jingles is for jingle dance. Traditional dancers wear hunting and warrior-inspired regalia. Is regalia the same as a costume? Regalia is definitely not a costume. A costume is something you wear when you dress up and pretend to be someone or something else — like for Halloween. 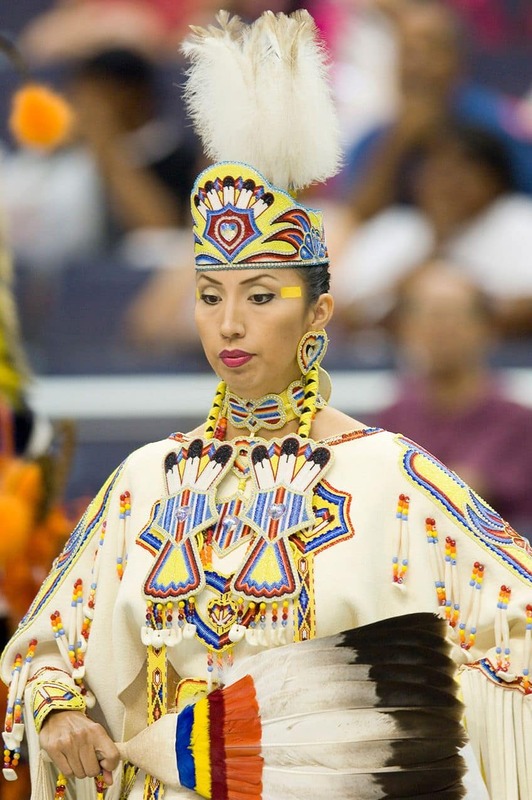 But regalia represents not only the dancer’s personality, but their history, family and culture as well. Is regalia made out of special materials? 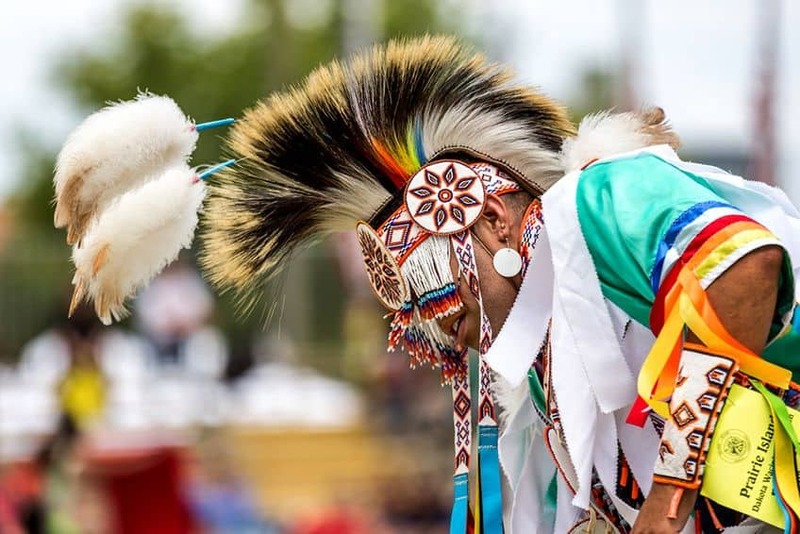 The base of the regalia is cotton or buckskin (a type of soft leather usually from deer) and is adorned — or decorated — with things like beads, ribbons, metals, feathers and porcupine quills. 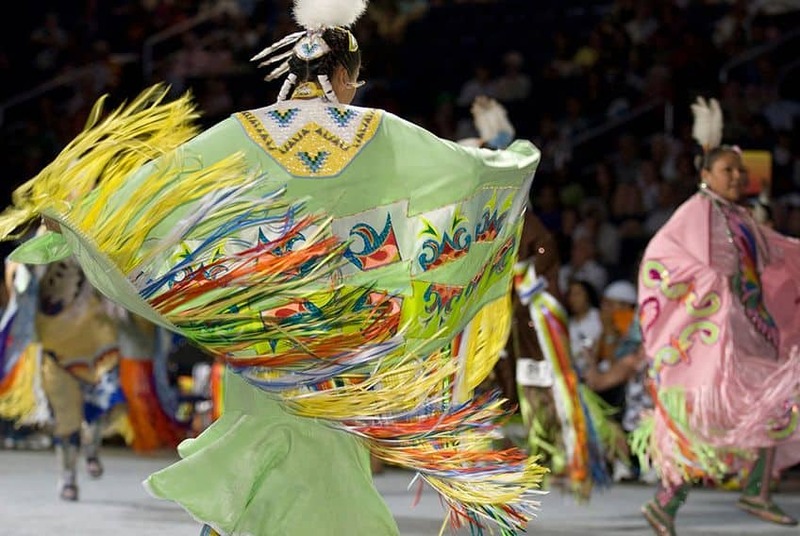 Who makes a dancer’s regalia? Many dancers make their own regalia or have it made by someone close to them, like a family member. Sometimes the dancer can purchase regalia from an artist who creates them. 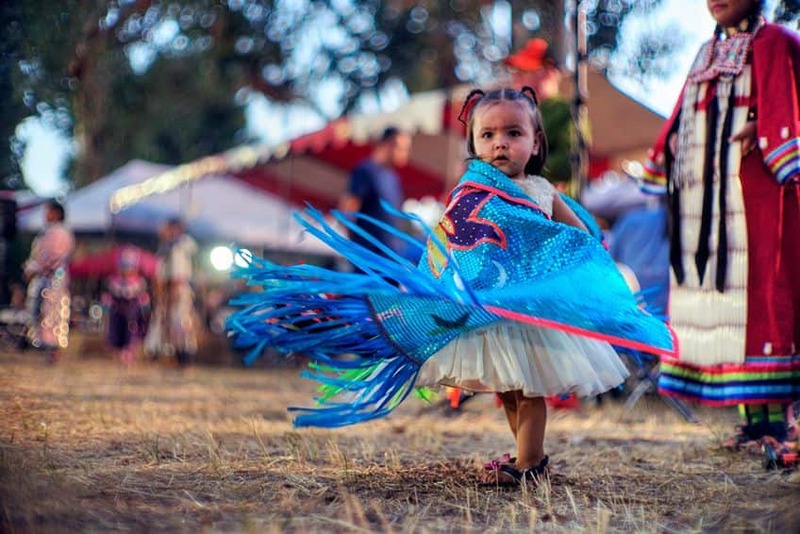 The tradition of making regalia is passed down through generations and it can take many years for a dancer to collect and make pieces for their regalia. What is the most common part of a dancer’s regalia? It really depends on the dancer and what type of dance they’re doing. But you may have seen a woman dancing with a beautiful shawl. That is part of the fancy shawl dance. The shawl represents butterfly wings. Men doing traditional fancy dance will wear two big bustles — one on the shoulders and one on the lower back. Often the fancy dancer will wear a feather roach in their hair as well. 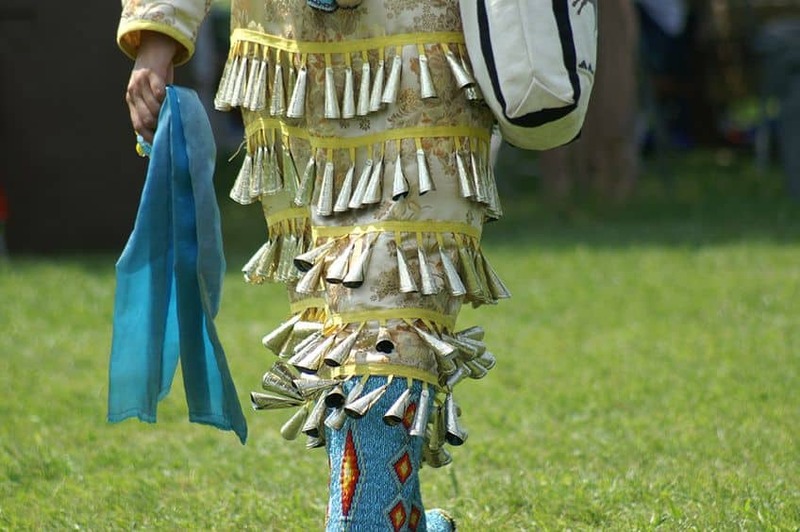 And, of course, dancers wear moccasins, although you might not notice them with all the beautifully coloured regalia to look at. 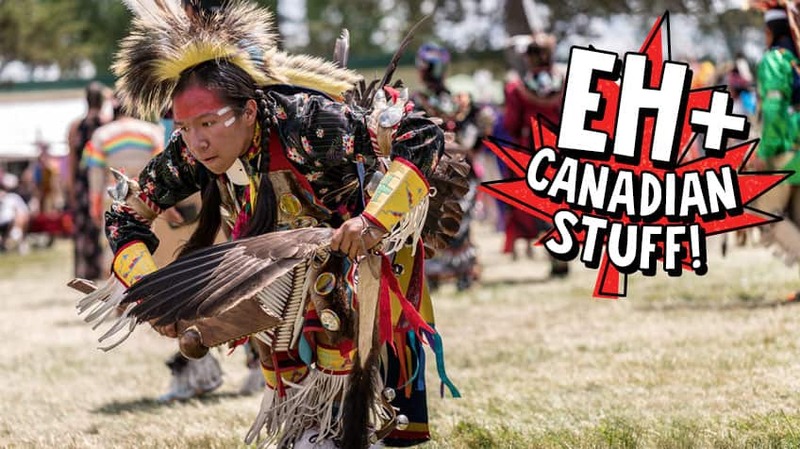 It’s the North American Indigenous Games! Do you know what tufting is?